New York Voices is an American vocal music group. The group was formed in 1987 from an Ithaca College alumni group. 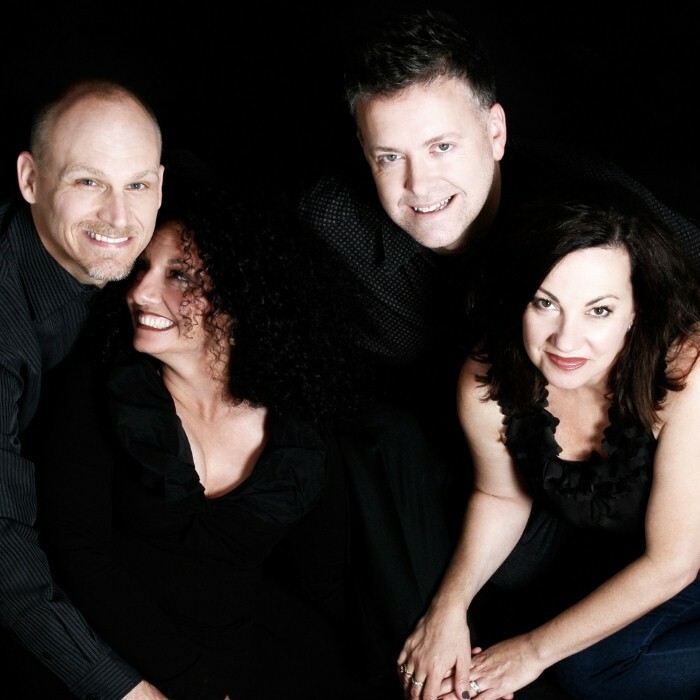 The original group consisted of Darmon Meader, Peter Eldridge, Kim Nazarian, Caprice Fox and Sara Krieger. They released their first, self-titled album on GRP Records in 1989. They won a Grammy award for their 1996 collaboration with the Count Basie Orchestra, “Count Basie Orchestra with New York Voices Live at Manchester Craftsmen's Guild”. The New York Voices are now a quartet, who, aside from performing, give jazz clinics at schools and universities and individually have their own solo careers. The New York Voices have to date released seven studio albums, all blends of classical, pop, R&B, Brazilian and American jazz.